The other day, the dog whispered in my ear. She told me to rearrange the living room. 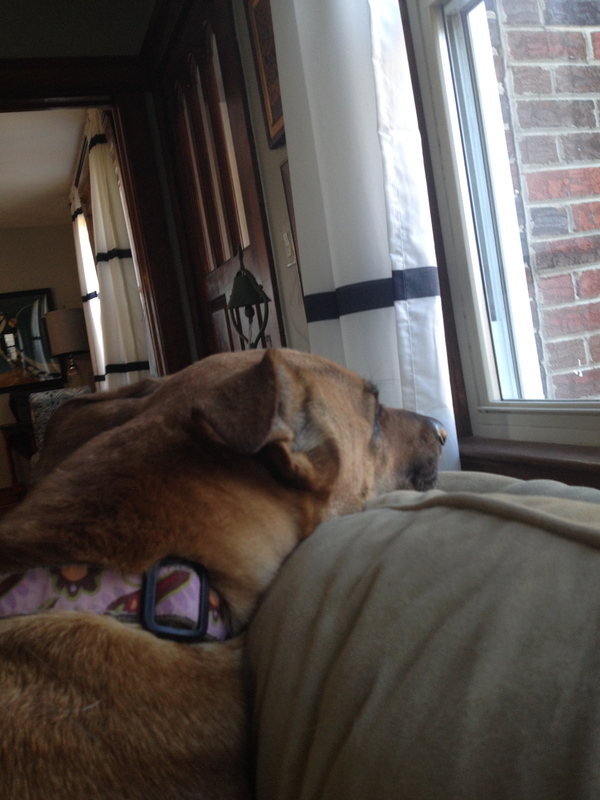 She wanted her sofa back, and she wanted it in front of the window where she can look out. Actually, she was not whispering at all, but barking loudly because I was sitting in her seat, which prompted me to rearrange. Again. She was right. We should all be able to enjoy the view outside. I moved the blue chairs to my office, moved the other sofa back in, and it is good this way. We can focus on the view. ← This Post Brought to You by…. Me! 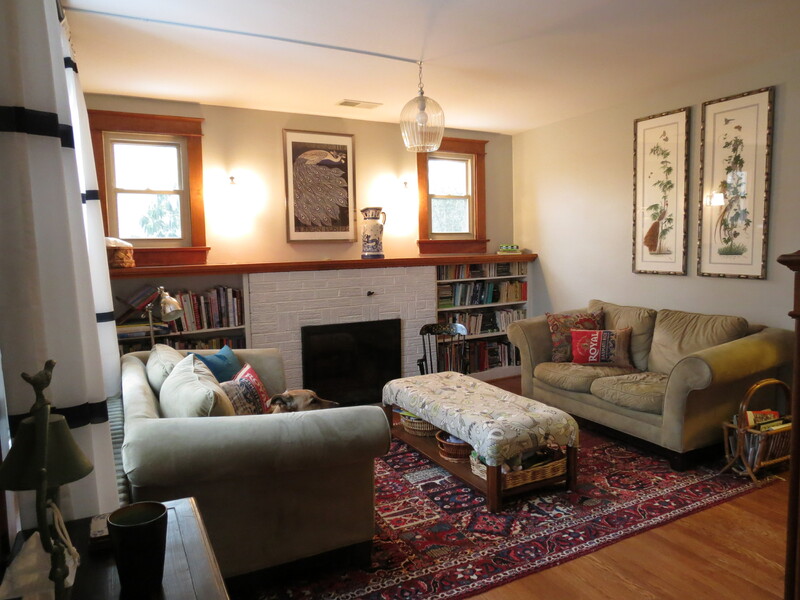 Hoo Ray for Cocoa’s living room – looks very cozy and inviting. Thank you! Yes, it feels nice and open too. Good dog. I’m going the opposite…re-arranging my furniture so that it isn’t easy for the dogs to climb on and look out the window 🙂 Maybe I should just give in!